1. 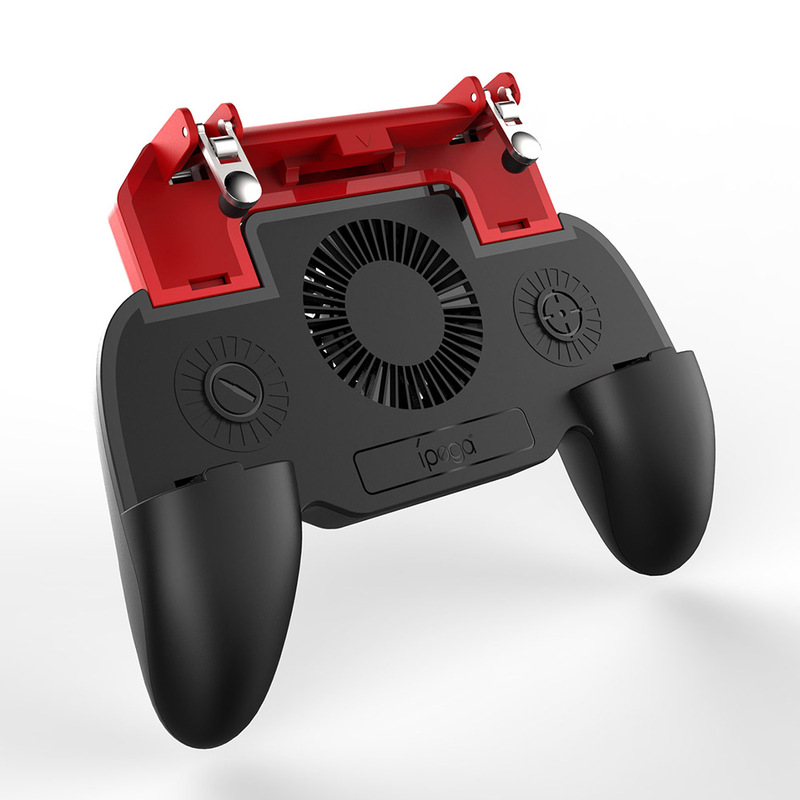 Multi-functional game grip with cooling fan and power supply. 2. 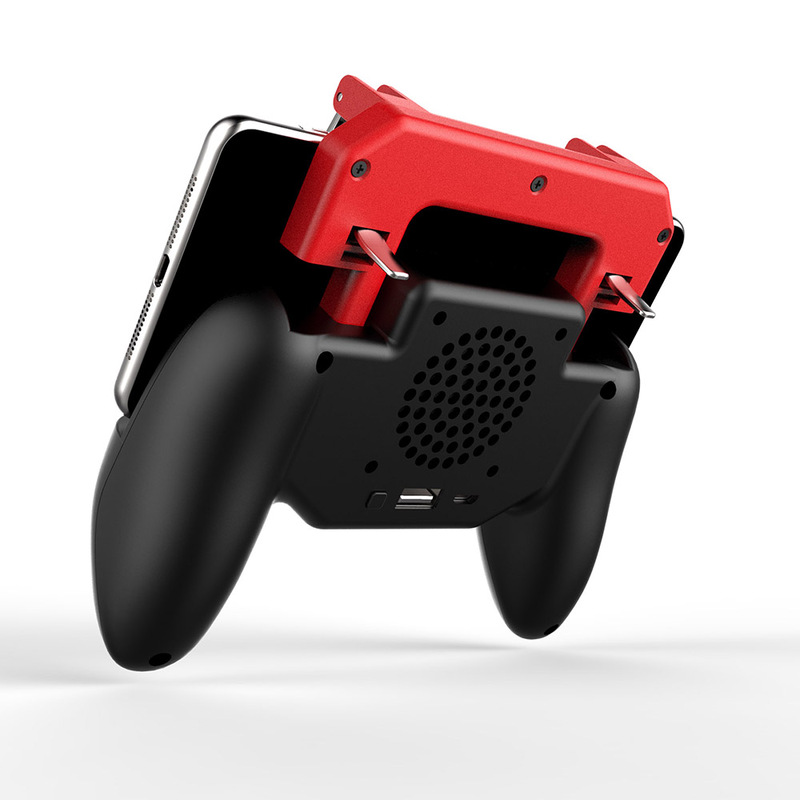 Built-in powerful cooling fan to protect the phone overheating during long time game play. 3. Built-in 2000mAh rechargeable battery for emergency charge phone while gaming. 4. 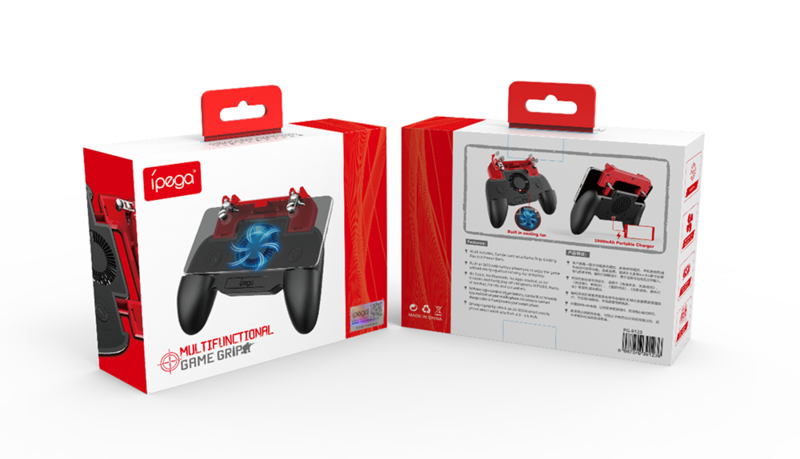 Provide maximum comfortable hand hold gaming experiences. 5. 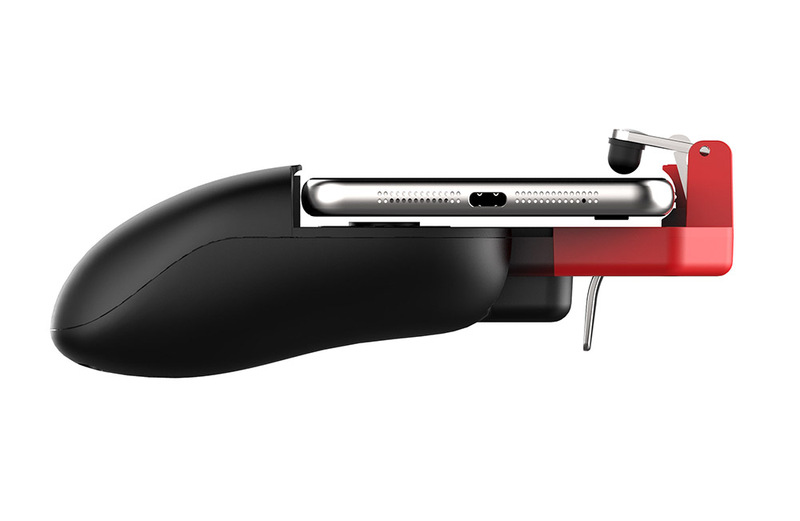 NO Cable trouble, NO Bluetooth setting, NO Apps needed, just freely play official games of PUBG, Rules of survival, Fornite and more games with two metal sensitive trigger buttons. Enable 4 fingers controls the game instead of two thumbs only. 6. Support all iOS/Android mobile phone which width size from 4.5 - 6.5 inch. 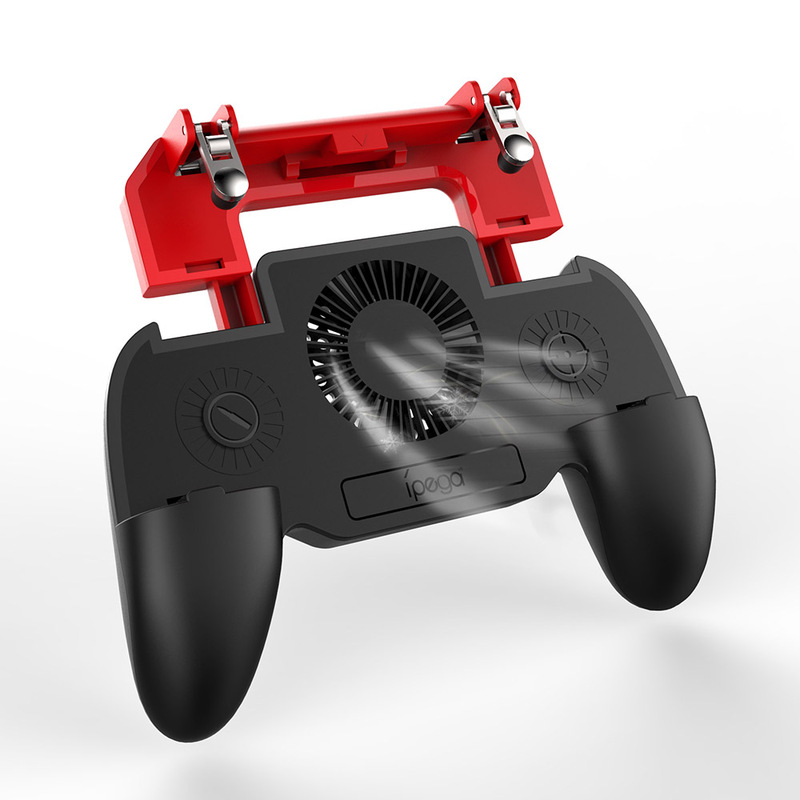 Multi-functional game grip with cooling fan and power supply. NO Cable trouble, NO Bluetooth setting, NO Apps needed, just freely play official games of PUBG, Rules of survival, Fornite and more games with two metal sensitive trigger buttons. Enable 4 fingers controls the game instead of two thumbs only. 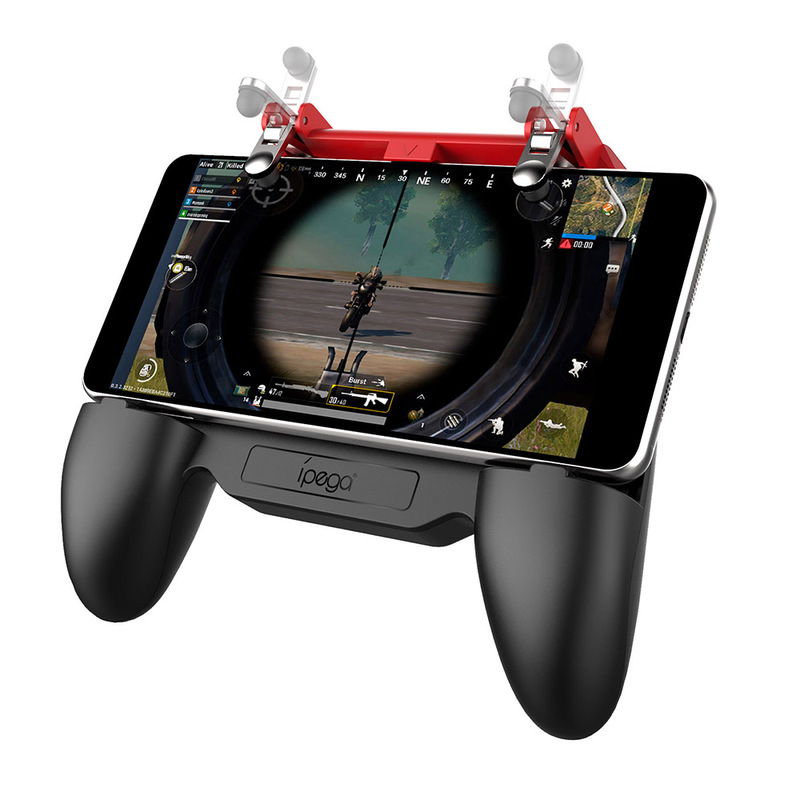 Provide maximum comfortable hand hold gaming experiences.Support all iOS/Android mobile phone which width from 4.5 - 6.5 inch.